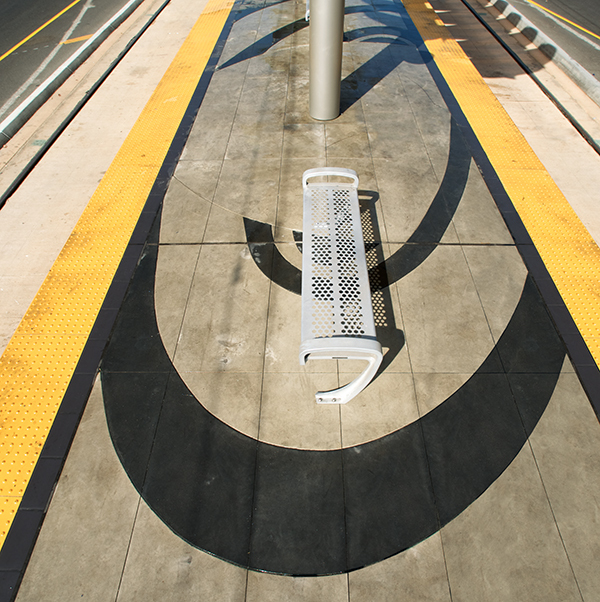 Inspired by Lewis Carroll’s “Through the Looking Glass,” the platform incorporates a monumental steel looking glass sculpture that overlooks a representation of the solar system made from concrete pavers. Playing with scale and our imagination, the metaphor of discovery and wonder is discovered here in the form of transportation, where the light rail becomes the “looking glass” into the undiscovered world. 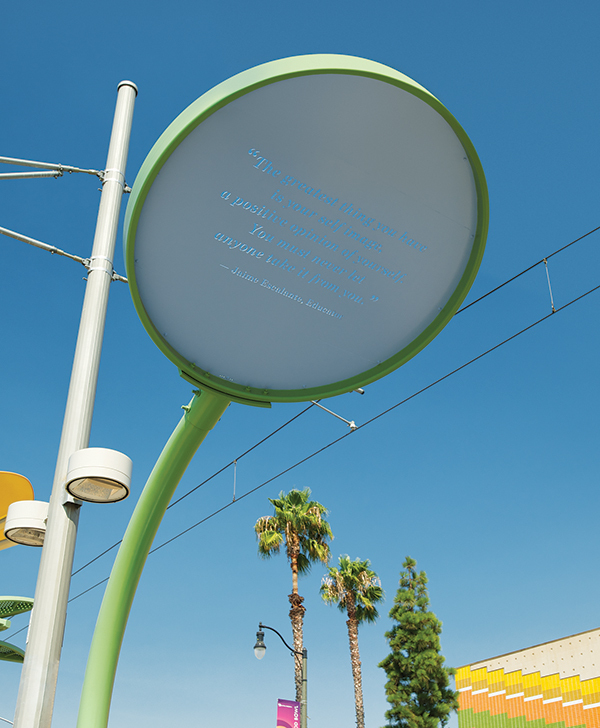 The looking glass is inscribed with a quote from Jaime Escalante, a notable educator who taught in the immediate area. 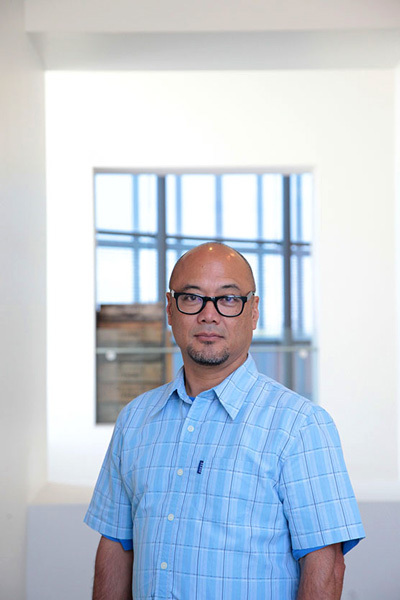 CLEMENT HANAMI received his Bachelor of Art and Master of Art from the University of California, Los Angeles and has been exhibiting his thematic installations and multi-media work since 1986. He has exhibited his artwork at the Japanese American Cultural and Community Center, Sony Pictures Studios, L.A. Artcore, Los Angeles Center of Photographic Studies and the Museum of Contemporary Art, Los Angeles. Hanami is also a COLA grant recipient, an annual individual artist award given by the Department of Cultural Affairs, City of Los Angeles.